Metabond ECO is a generation innovation (3rd generation). It is a state-of-the-art ash-free metal surface finisher using nanotechnology for car engines and small utility vehicles. It has an excellent antifriction and lubrication effect. It is recommenced to mix it to the required oil grade in the engines of new, part-new and used petrol, diesel and gas operated vehicles. In most vehicles, 25% of fuel generated energy is lost due to friction. Metabond ECO reduces this loss by 60%. 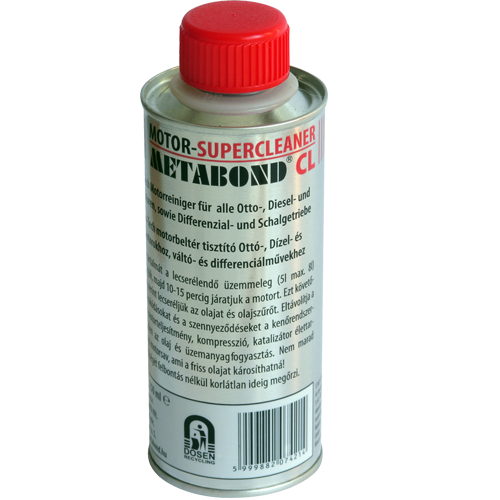 Metabond’s primary effect is chemical metal surface finishing, which provides ideal conditions for oil film, resulting in decreased engine wear and therefore reduced maintenance costs. Due to the effect of the nano-sized polyceramics added to the most advanced ash-free metal surface finishers and the most advanced lubrication improving components, Metabond ECO significantly improves the output of the engines. 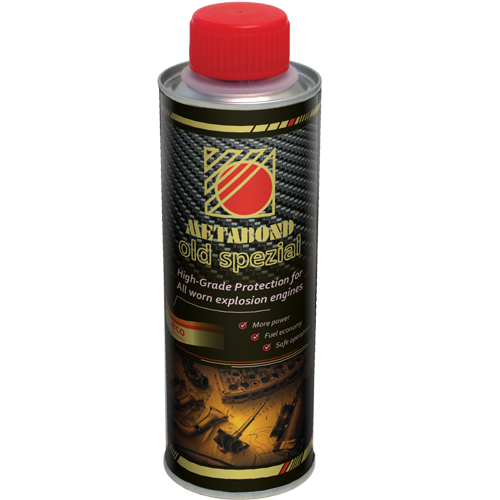 The new generation of Metabond adds the most advanced ash-free, lubrication improving components to the engine oil which forwards the nano ceramics to all places where friction may occur. The nano-particles penetrate into the surface unevenness of the metallic friction surfaces of cylinders, pistons, bearings, rings, gears etc. where the embedded particles also eliminate leakage problems in addition to the reduction of friction. Thereby the issue of hazardous materials is significantly reduced and oil consumption also drops by a great extent. Polyceramics are very important in modern lubrication engineering. The roughness of metal friction surfaces of engines is very minute, often only 1 micron, thus larger micro-particles do not adhere to the metal surface. The filtering elements of oil filters have, in general, filtering structures and filtering fineness of 15 to 25 micron (the fineness of superfine filters is 1 to 3 micron), thus they cannot filter Metabond ECO nano sized polyceramics. Thereby Metabond ECO may be used also in mainstream and partial-flow superfine filters. Entering into a chemical reaction with metals, METABOND ECO tempers their materials when pressurised. 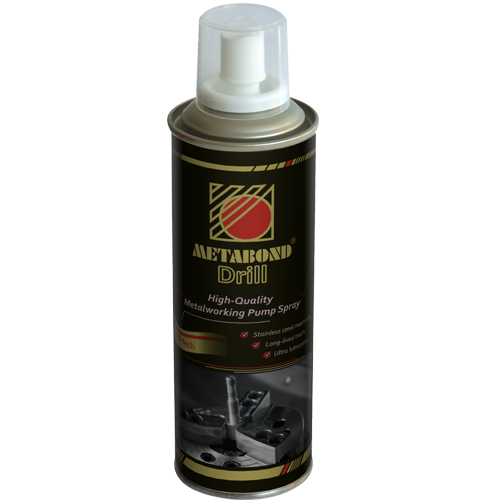 The result is an extraordinarily hard and very smooth surface, which resists damage caused by friction and offers ideal conditions for lubricating oils even under extreme loads. This facilitates the inner operation of the engine and the movement of parts, which entails significant increase of the engine output or fuel saving. Due to significantly reducing friction, noise level immediately and noticeably drops. Triple lifetime is guaranteed when continuously used in new equipment. 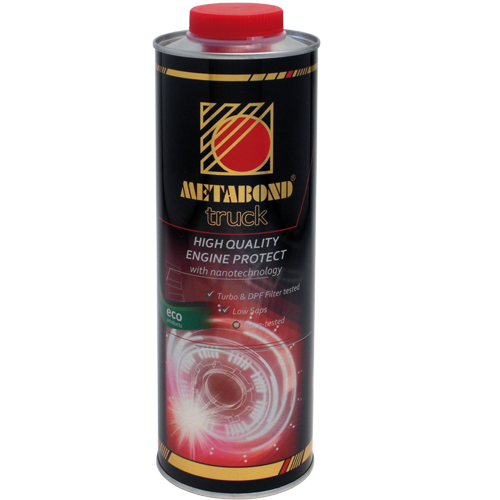 The use of Metabond ECO eliminates cold-start problems and also offers protection in case of partial oil starvation or loss of full oil pressure. 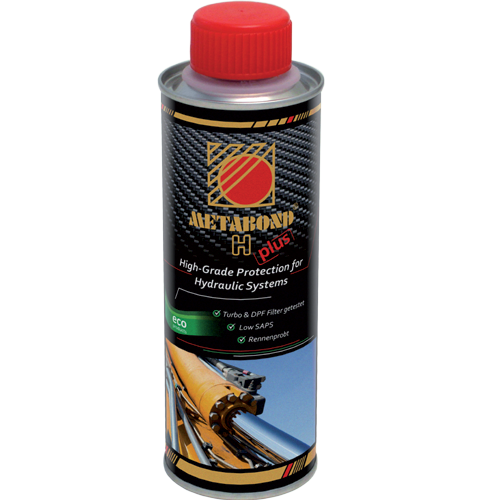 It can be mixed with all synthetic and mineral based lubricating oil. 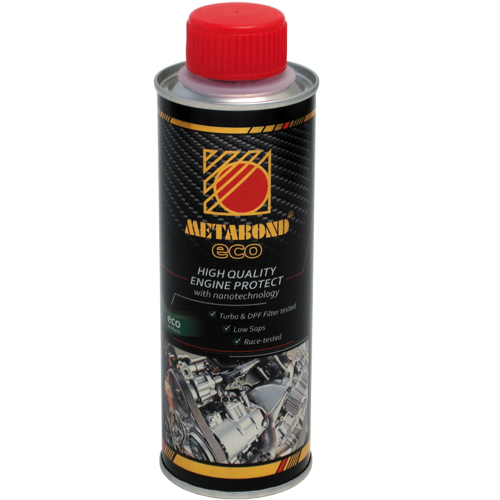 As a result of the more ideal operating conditions, the lubricants of devices treated with Metabond preserve their lubricating quality for a longer period and thereby the oil change interval will increase, minimising the impact upon the environment. It can only be used in new, part-new and old petrol, diesel and petrol driven car engines and small utility vehicles. Use does not require skills or tools. Simply warm the content of the flask on a warm radiator or in warm water, then shake well and pour the volume of 1 flask (250 ml) into the engine (4-8 litre oil fill) while the fresh oil is still hot. Then run the engine for a few minutes. Repeat the treatment after each oil change. In the case of continuous post-treatment, ½ flask may be sufficient if the purpose is only to finish the metal surface. To enjoy the full advantages of lubrication improvement on a permanent basis, use of a full flask (250 ml) is necessary for post-treatment. It is assumed that an oil of the required grade is applied.